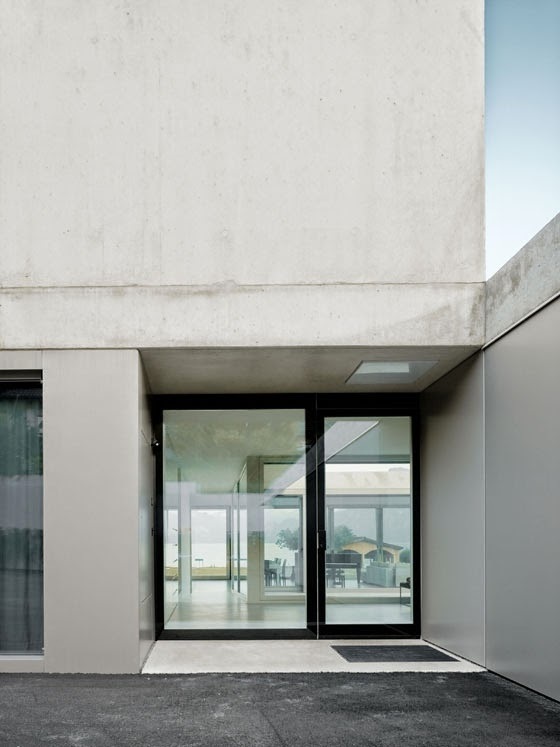 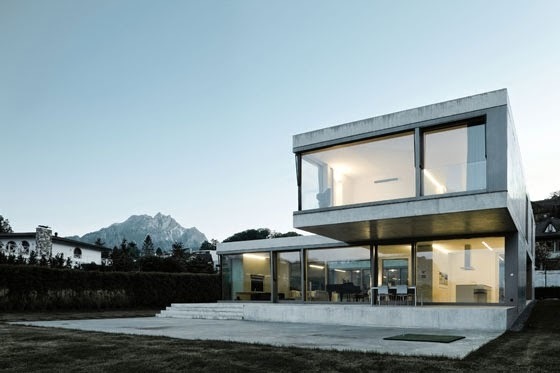 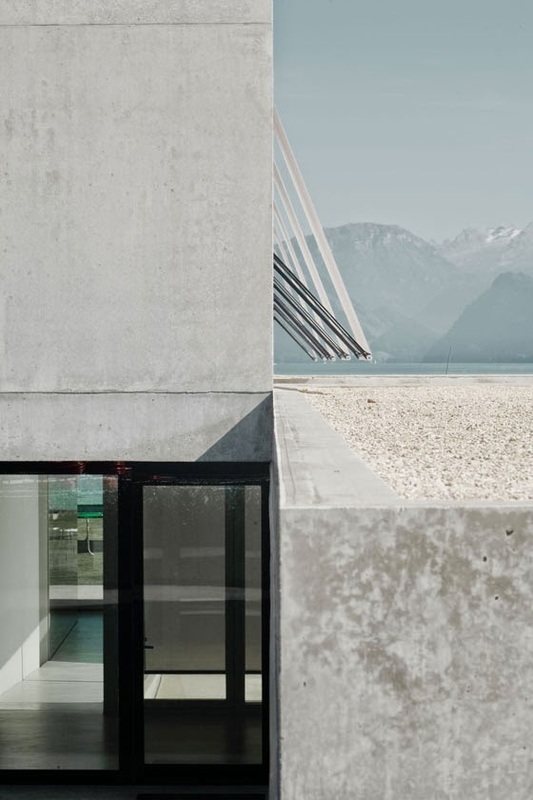 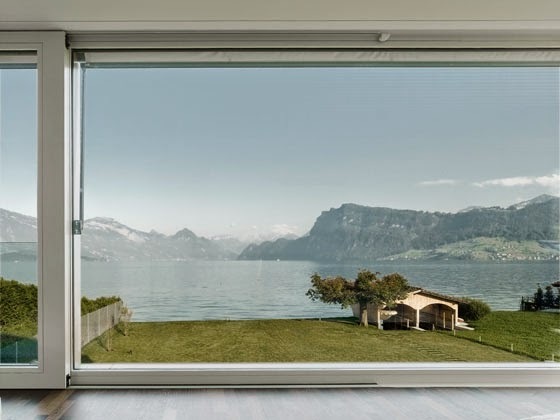 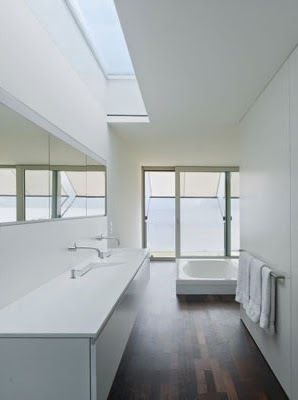 Villa M on Lake Lucerne, Switzerland, is a minimalist villa on a sloppy site with views over the lake, designed by Lucerne based Niklaus Graber & Christoph Steiger Architekten. 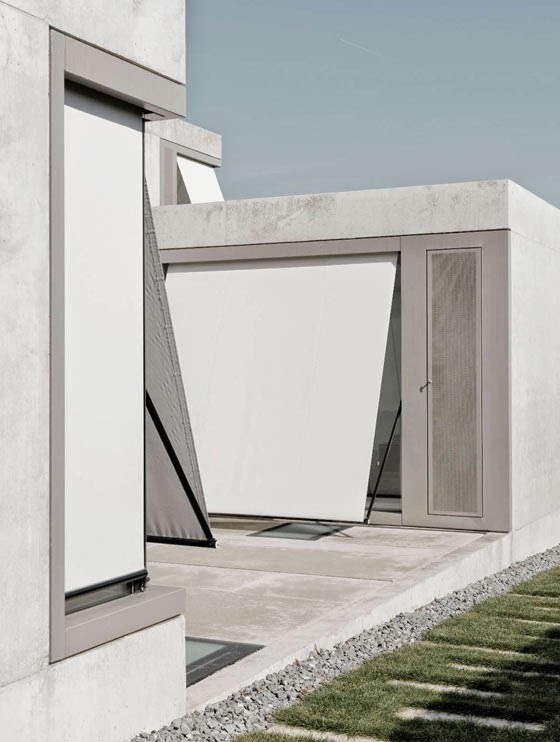 A volumetric synthesis of clean lines and a minimized materials’ palette is applied for interior and exterior areas, organized as a spatial sequence of different identities and moods. 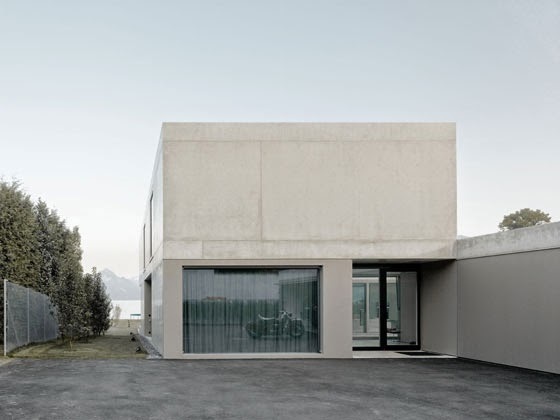 The location and the volumetric organisation of the villa interpret the specific qualities of the site on both a larger and a smaller scale. 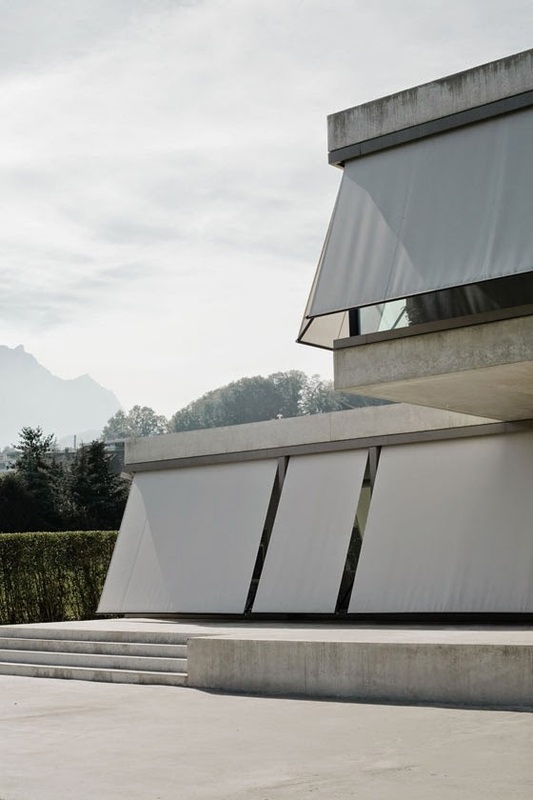 The topography of the land, which slopes gently down to the lake, the incomparable view and the sunny position generate a multi-structured building that divides the linear plot of land into different areas. 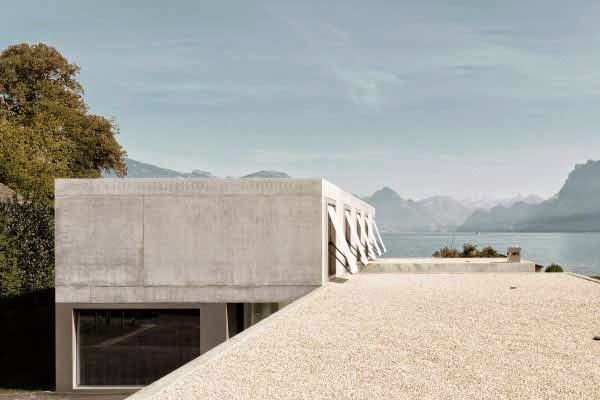 Forecourt, court terrace and shore zone form a sequence of specific venues that accompany the inhabitants and visitors from the roads to the lake. 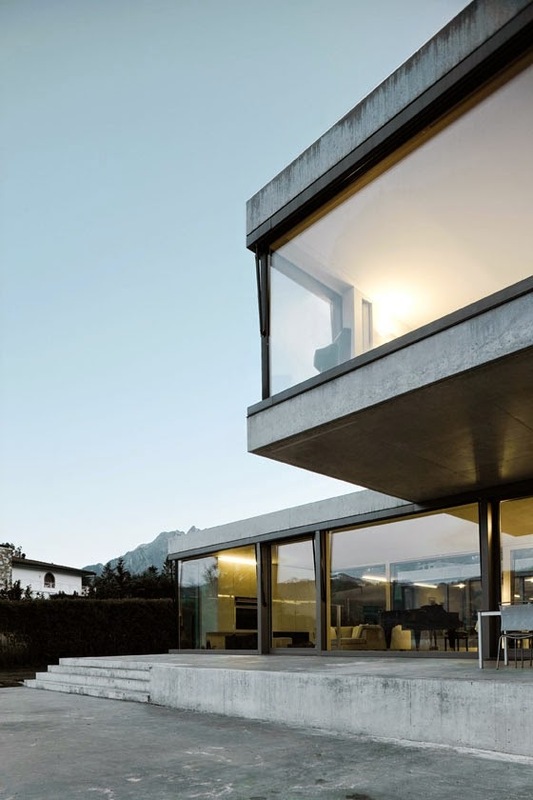 The vertical staggering and the expansion of the building respond in a subtly differentiated way to the different neighbourhoods and inner and outer views while achieving precise settlement in the land. 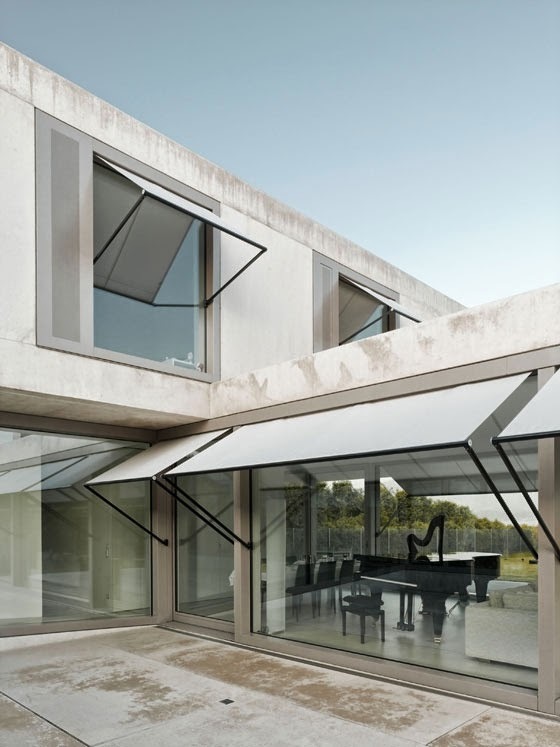 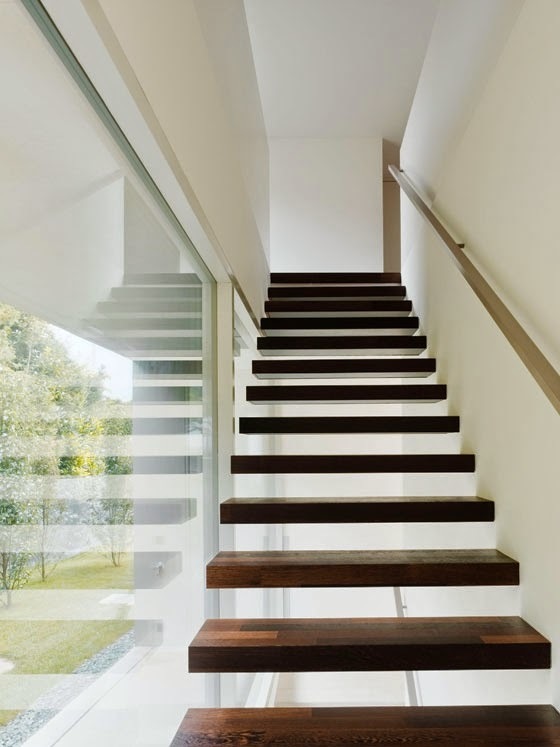 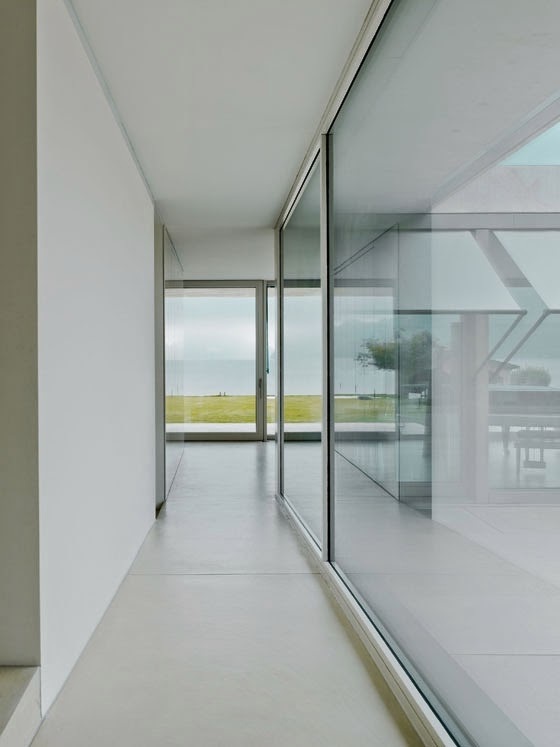 The potential of the varied programme of rooms develops in an interesting interplay for interior and exterior areas that are organised as a spatial sequence. 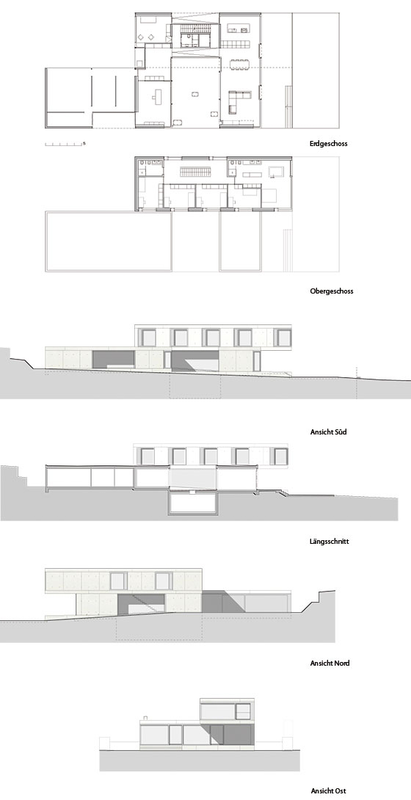 Various building sections destined for specific functions are interwoven while at the same time creating specific places with their own identity and mood.